The Phoenix Suns acquired Tyler Johnson in a trade with the Miami Heat earlier this week and will look to make his Suns debut on Friday as the team tips-off against the Golden State Warriors. 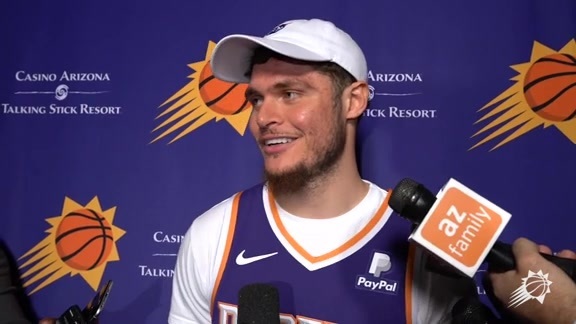 Johnson brings playoff experience to the Suns locker room as the Suns are looking to Johnson to help provide leadership while guiding the young Suns on and off the court. He spoke with his former mentor in Dwyane Wade for advice on his transition from Miami to the Valley. Johnson is currently coming off of one of the hottest streaks of his career as he shot 50 percent (27 of 54) from three-point range throughout the month of December. This was the third highest mark in the NBA for that month. While Johnson does have experience starting, his prime role in Miami was providing a spark in the second unit. He ranks second in Heat history with 19-career games scoring 20-plus points off the bench. When first taking on the sixthman responsibilities, it was actually Suns’ Jamal Crawford that helped inspire him to embrace the role. At 6’4”, 190 pounds, Johnson has many times been looked at as a point guard, while also having the skillset to play the shooting guard position. But whether he’s playing the one or the two, he simply just considers himself a basketball player. From his first practice with the team, Johnson has already felt what the Suns young core is capable of. Kelly Oubre Jr. has known Johnson since his rookie season and is looking forward to sharing the court with his newest teammate. Oubre has seen the versatility that Johnson has to his game and is excited to have him suit up next to him in a Suns uniform. 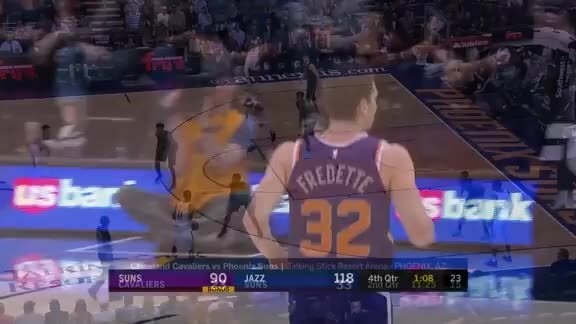 While Head Coach Igor Kokoskov hasn’t announced if Johnson is starting or continuing his sixthman role, the 26-year-old guard is expected to make his Suns debut in front of the Phoenix fan base on Friday. Be sure to catch the action on Fox Sports Arizona.